Well that’s quite something, isn’t it. Forever seeking out the truth in sound! How exciting. And imagine — imagine! — the great conductor stopping to listen to the music of a homeless man. I hope we’re suitably impressed. Although I suspect to be suitably impressed you’d need to be surprised to realise homeless people might be talented, and in fact are human beings. Anyway, we don’t get to hear the end of the story. I became intrigued. Was the street xylophonist scooped up by Gergiev and ushered into a glittering percussive career, in the time-honoured rags-to-riches fashion? No, as far as I’ve been able to find out, this did NOT happen. For all we know he’s still sleeping rough on the streets of Manhattan. Perhaps he has died. 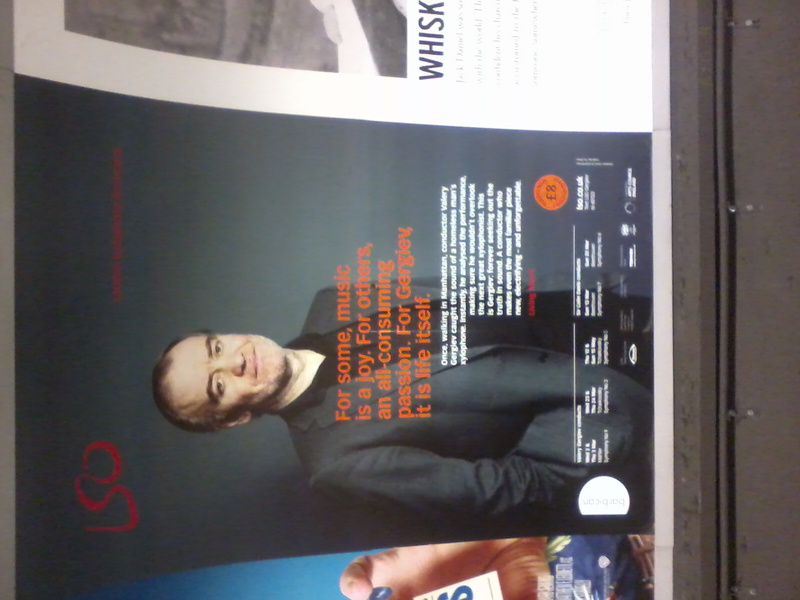 But I did find the source of the story, a long profile piece on Gergiev by Alex Ross in the New Yorker. 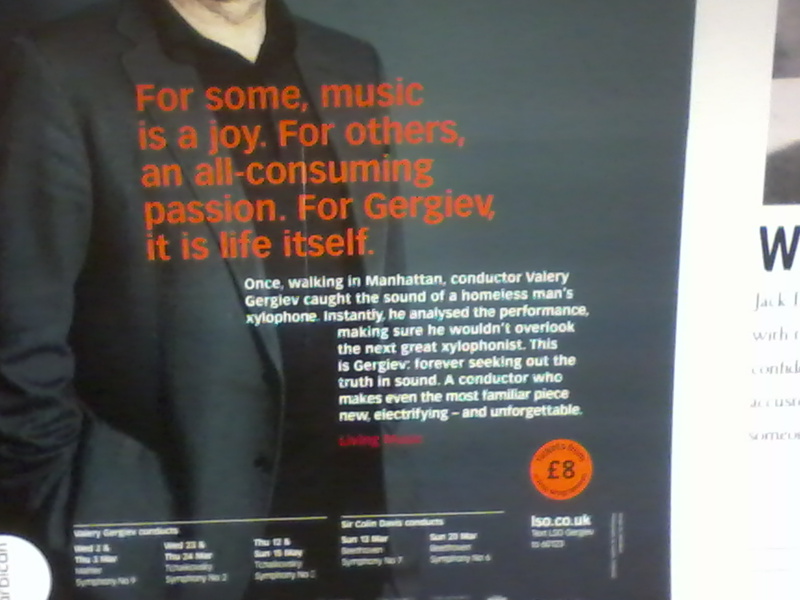 Everything in Gergiev’s world is filtered through music. His ears perk up, like a cat’s, at any faintly musical sound. On a walk down Broadway in December, I watched him become distracted by a young homeless man who was irregularly banging on a xylophone. In a split second Gergiev analyzed the performance to be certain that he had not overlooked the xylophonist of tomorrow. The most glaring difference is that we learn the guy was “irregularly banging on” the xylophone. 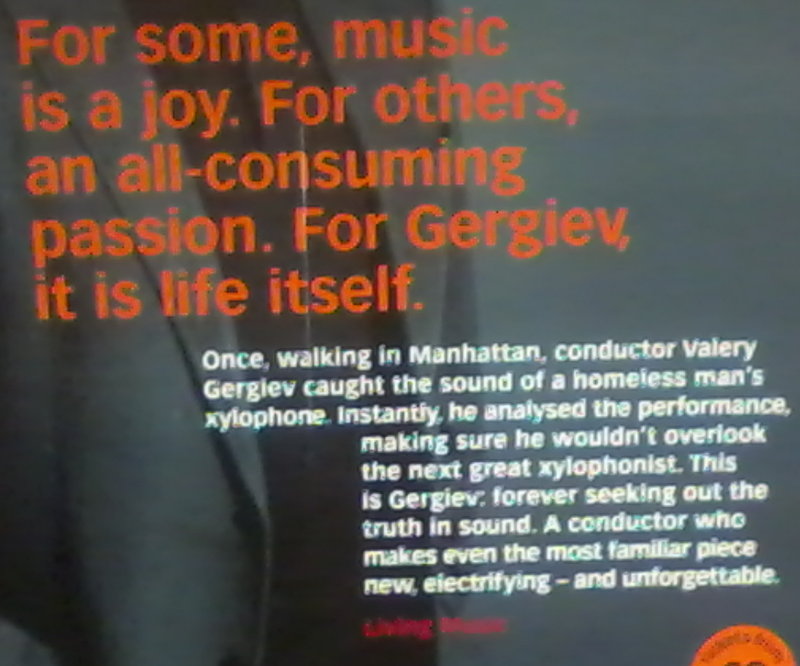 It’s a slightly loaded phrase which implies that he was terrible, or at least that if he was any good, only Gergiev could have possibly discerned it. That’s a good distinction, which has gone missing from the ad version. This entry was posted in Adverts explained and tagged adverts, music. Bookmark the permalink. Gergiev missed a trick not coming to Nottingham, the daft wassock. I wish you’d seen him. He used to play three notes, Hi-De-Hi-style, finishing the third one with a magnificent flourish. And then he’d go for another three notes, and a flourish. And so on. Magnificent.